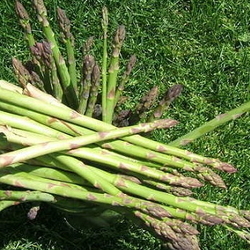 Grow a hearty winter stock with vegetables from your own garden! There's nothing that warms you to the core during the chilly winter months like a hearty bowl of soup. The basis for every delicious soup is a great stock, and choosing a vegetable-based stock is not only hearty and adaptable to almost any recipe, it’s also ideal for vegetarians and vegans. A basic stock consists of onions, carrots, and celery. However, you can add several other vegetables to the stock to give it more flavor or in substitution. For example, garlic and thyme add warmth and flavor to the stock. If you don’t like the taste of onions or don’t have any on hand, you can substitute leeks or shallots, both of which tend to be milder-tasting than onions and are in the same plant family. Conversely, if you love the tastes of onions, add shallots and leeks to boost the onion-y flavor. The good news is all of these plants are super easy to grow in the garden. Relatively low maintenance and easy-to-grow, onions and shallots don’t require much from you. You can grow them just as easily in large containers on your patio as you can in the ground of your garden. Onions and shallots are grown from either seeds or sets. Sets allow for more precise planting, especially if you have space constraints. They can be planted in the spring and the fall. Spring planting is ideal once the soil has warmed up enough to work in, whereas fall planning will allow you to harvest your onions sooner the following year, especially if you live in a milder climate. If you have space, plant them at both times to ensure you never run out. Growing conditions: Onions and shallots prefer well-drained soil, which you can choose to enhance further by adding compost. If the site tends to become soggy over the winter, grow them in raised beds or containers instead of in the ground. 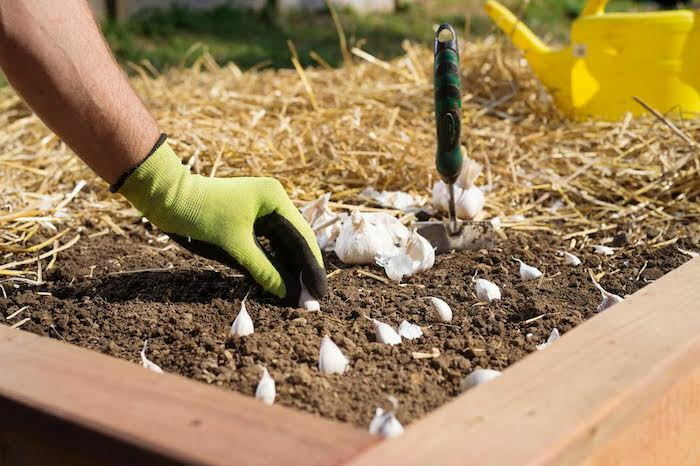 After you’ve planted the onions and shallots, periodically clear the area between plants and rows of weeds, as these tend to inhibit bulb growth. Harvesting: Depending on what time of year you did your initial planting, you should typically be able to harvest by early summer. When harvesting shallots, loosen the soil around the bulb, gently lift them from the soil, and lay them on the surface for a few days. Then remove the foliage and store them in a spot that is dry and well-ventilated. Garlic is a staple in any garden. Also easy to grow, you can plant garlic in the spring or fall to enjoy during the year. Like onions and shallots, you can grow garlic in the ground or in containers. Since they’ll rot in excessively wet conditions, it might be wiser to grow them in raised beds in the garden. Growing conditions: Garlic grows best in well-drained soil. To ensure it grows well and pest and disease-free, don’t plant it where you’ve grown garlic or other alliums in the past two to three years. If you’re planting in the fall, be sure to apply mulch over the top to help protect your garlic from harsh winter conditions. Harvesting: When the leaves of your garlic plants have begun to turn brown, it’s time to harvest. This usually occurs in mid-summer, depending on the variety you’ve planted. Carefully remove them from the soil and let them air dry in a shady spot. You can braid the leaves and store them in a cool location. If you’d like to plant the same variety the next year, save a few cloves to plant the following fall. 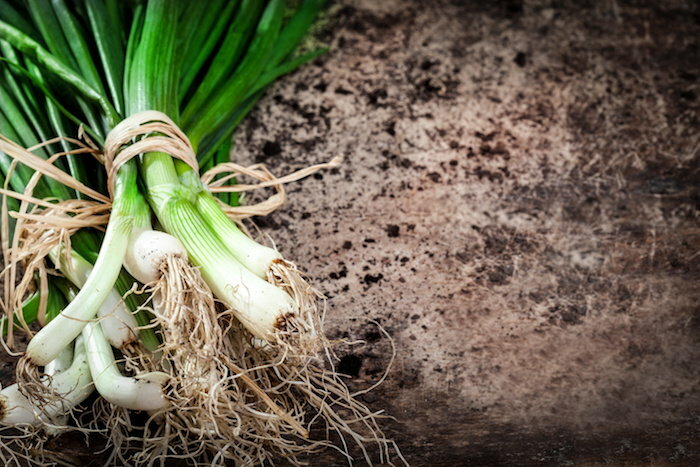 Like onions, shallots, and garlic, leeks can be planted in the fall or spring, depending on your zone. When used in a stock, slice up the white stalk and add it to the pan along with a few of the green leaves. If you do decide to add the green leaves during cooking your stock, be sure to remove them when using it. They'll impart flavor, but aren't appetizing on their own. Before adding leeks to your pan, be sure clean them very well; leeks tend to hang on to the dirt and soil they’re grown in. Growing conditions: Grow leeks in full sun and well-drained soil. If you plant them from seed, start them indoors about 10 weeks before the final spring frost. Then plant the starts outside once the soil is warm enough. If you live in a mild climate, you may be able to plant leeks in the fall and let them overwinter. In that case, plant them about 12 weeks before the first frost of the fall. Give them plenty of water during the growing season for optimal growth. Harvesting: You can harvest leeks as soon as they appear large enough to use. Loosen the soil and gently pull them from the soil. To preserve them over the fall and winter months, slice and blanch them. Then, lay them flat on a cookie sheet and place in the freezer to flash freeze them. Once frozen, place them in freezer-safe storage bags and keep them in the freezer until you’re ready to use them. Carrots are a cool-season crop available in a host of varieties perfect for your soil and zone. Growing conditions: Start with loose soil that is free of rocks, especially if you’re planting in the ground. It’s often best to plant carrots in raised beds; not only will you run into fewer rocks, you’ll also have the opportunity to line the bottom with gopher wire. After all, you’re not the only animal that finds carrots delicious; many burrowing pests do too. Sow seeds up to three weeks before the last frost. 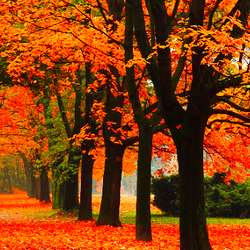 If you live in a warmer climate, you can begin sowing successively over the fall and winter months. Just be sure to provide some protection from the elements if you expect a hard frost or wintery weather in the forecast. Keep the area weed free to ensure a healthy crop. Harvesting: Harvest carrots when they’re big enough to eat. Dig them up before the first frost of the year. Be sure to loosen the soil first and gently tug from the soil to prevent damage. If you want to save carrots over the winter, don’t wash them after harvesting. 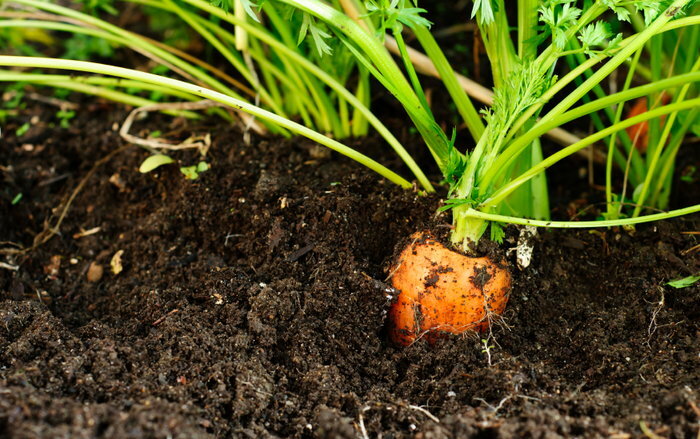 Instead, remove the tops and layer the carrots in a box with damp sand or peat in-between. Celery can be fussy; however, it can be easy to grow if you pay attention to the plants. Celery is a cool-season plant that doesn’t grow well in the heat. 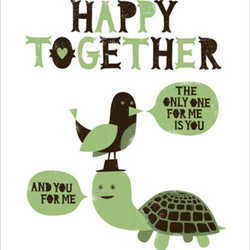 It needs rich soil and lots of water to thrive. Growing conditions: Start celery seeds indoors about 12 weeks before the last spring frost. It’s best to soak the seeds overnight before you plant to improve the chances of germination. Plant celery outside when the soil has warmed in the spring. Be sure to give it steady water during the growing season. If you leave on vacation, make sure a neighbor or housesitter is able to water it while you’re away, especially if it’s going to be hot. Harvesting: Take what you need, working from the outside in when it’s fully grown. Once you’ve harvested them, you can keep them in the refrigerator in a plastic bag for several weeks. Thyme is a versatile herb that can be planted anywhere in the garden. Use it as edging, groundcover or let it grow and trail over containers on the deck or porch. Cut sprigs as needed to add to your cooking, including your soup stocks. 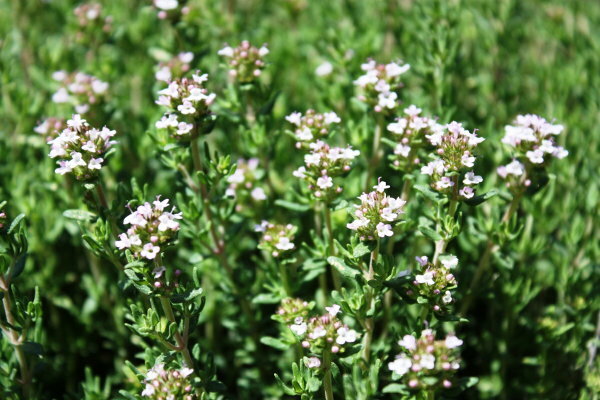 Growing conditions: Thyme thrives in full sun and well-drained soil. Plan to prune it regularly after the first year to maintain its shape and healthy. Harvesting: Harvest sprigs whenever you need them, or save what you’ve pruned by freezing or refrigerating it.